Nissan has pulled the covers off its new-generation Versa sedan, and given that the previous version was identical to the Almera in all but name, it's highly likely that the auto you see here will also become the new Almera. The new Sunny is based on the CMF-B platform of Renault-Nissan and it shares lots of design cues with the fifth generation of Nissan Micra. In terms of styling elements, the new Versa is heavily inspired by the latest Altima sedan, with both vehicles featuring similar sharply creased lights, the company's V-motion grille, and partially blacked out C-pillars for a floating roof look. One area where it doesn't make strides in under the bonnet, where the Versa comes with a 1.6-litre normally aspirated petrol engine (for the USA market), which produces 91kW. The vehicle is equipped with a shark fin antenna and rides on dual-tone alloy wheels. The centre console is dominated by a touch screen infotainment system, which is integrated into the dash. There are circular air vents on either end of the dashboard. The sedan gets new flat-bottom three spoke multi-function steering wheel and the instrument cluster gets analogue information of the right while all other details including the tachometer are displayed on the digital screen. 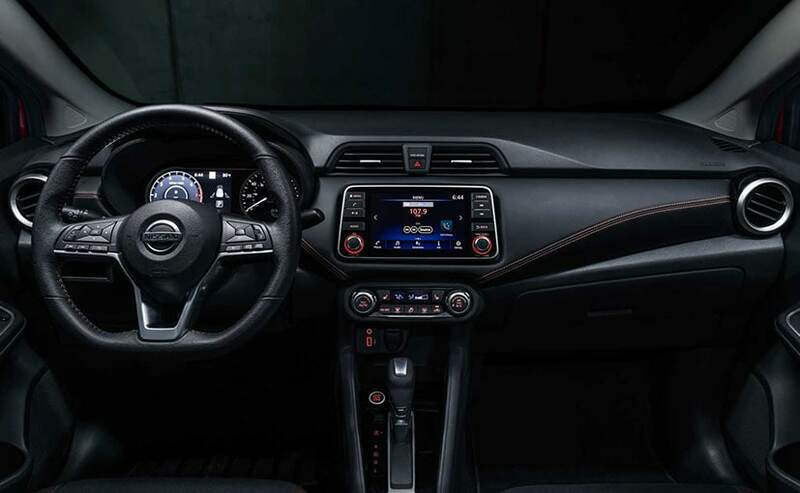 Some of the features offered on the US-spec vehicle include remote keyless entry, engine start/stop button, power windows, heated front seats, automatic climate control, Apple CarPlay and Android Auto connectivity. As far as engine options are concerned, the Versa/Sunny compact sedan gets a 1.6-litre, 4-cylinder engine offers 122 horsepower and a 155 Nm, paired with the enhanced Xtronic transmission or a 5-speed manual. There is no word yet regarding the next-gen Sunny's India launch.